Perfect choice for all your events. Tyvek® adhesive wristbands for events, patron identification, and admission are ideal for 1-day events. 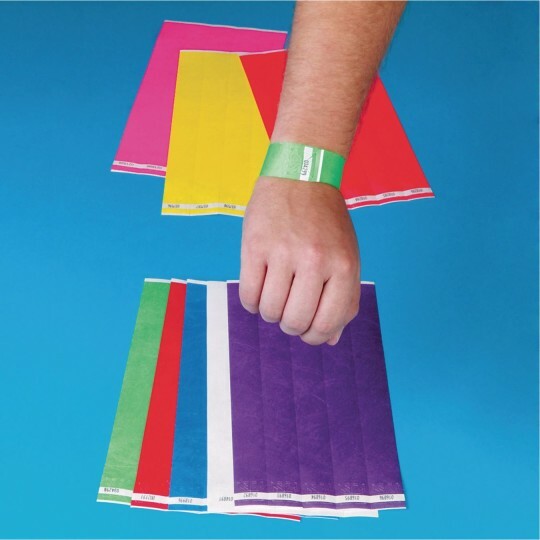 Each Tyvek® wristband features an easy adhesive strip closure and comes sequentially numbered for easy control and revenue tracking purposes. It provides the easiest and the most secure method of tagging patrons as well as ticketed admission to your events. 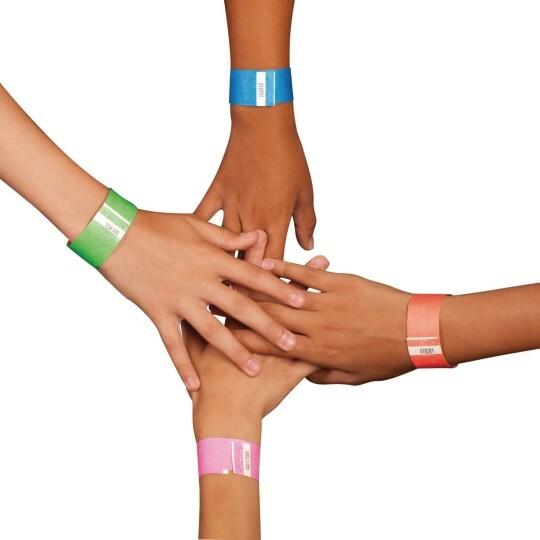 Tyvek® Wristbands are one size fits all and measure 3/4”W x 10”L and are fully adjustable. 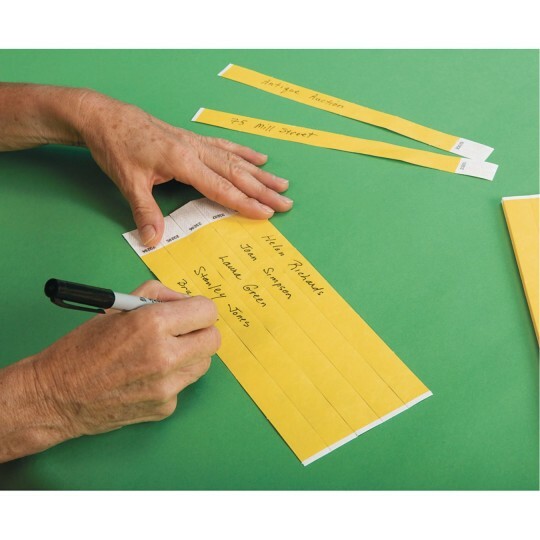 The patented formula prevents transfer-ability and the die-cut design prevents tampering. 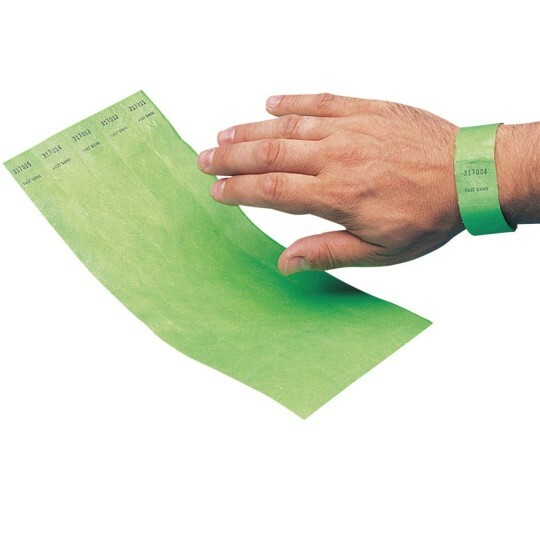 The Tyvek® 3/4” security and event wristbands are anti-bacterial, stretch and tear resistant, and ideal for both wet and dry environments. Available in numerous vibrant colors for high visibility, please specify your color when ordering. Used these for a church carnival. They worked great. Great that they are waterproof and durable. Good for sweaty karate tournament fighters. They look like paper but they last all day at the water park or the beach. Very economical option for field trips.